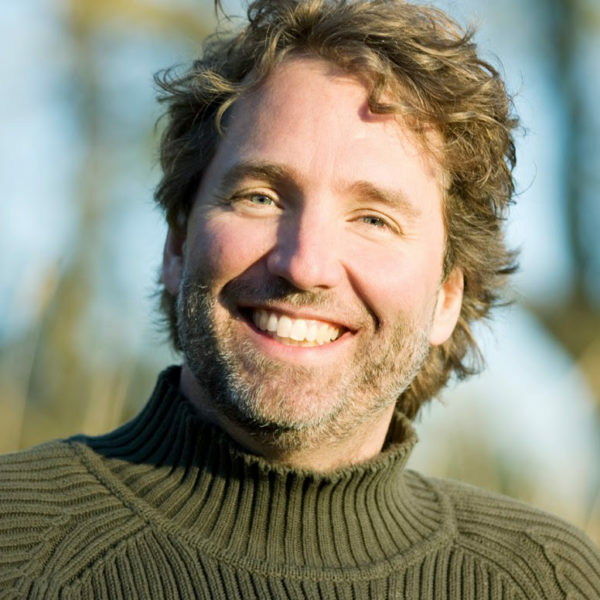 Matthew Sanford is author of Waking: A Memoir of Trauma and Transcendence and the founder and director of the non-profit organization Mind Body Solutions. Krista Tippett, Host: Grief and gladness, sickness and health, are not separate passages. They’re entwined and grow from and through each other, planting us, if we’ll let them, more profoundly in our bodies in all their flaws and their grace. My wisest teacher about this, Matthew Sanford, has one of the most vibrant, connected bodies I’ve ever experienced. He’s a brilliant yoga teacher, and he’s been in a wheelchair for 30 years, since he was paralyzed from the waist down at fourteen, in a car accident on a foggy Missouri road that killed his father and sister. For 20 years, he took the advice of therapists and physicians to create body-builder arms and forget his legs. Yoga helped him claim the whole of his body, and insist that he could be healed even if his legs couldn’t be cured. He’s become an innovator of adaptive yoga for people with disabilities, veterans, young women with anorexia. He says that he’s never known someone to become more at home in his or her own body, in all its flaws and its grace, without becoming more compassionate towards all of life. This is a wondrous statement, which somehow makes perfect sense. Mr. Matthew Sanford: There’s a reason why, when my son who’s six is crying, he needs a hug. It’s not just that he needs my love. He needs a boundary around his experience. He needs to know that the pain is contained and can be housed and it won’t be limiting his whole being. He gets a hug and he drops into his body. When it comes to healing, when it comes to aging, we admire that eighty-year-old guy who runs a marathon. We want to see that proof that mind can overcome matter because the body is going to be what ends up shutting down. And believe me, I didn’t get this right away. But you need all kinds of strength. You need to be able to also — and it’s an overused word — “surrender.” Being more present, surrendering into the world, feeling more. I don’t mean intellectually. I mean literally having your body as if you’re getting hugged like my son. But your heart feels vulnerable when you let yourself be in the world like that. That’s why we avoid it. Dominance over bodies is what human beings have done for thousands of years, whether over nature or over each other. That’s one thing we want in our tool belt — to use will when you need to have it. But we are just on the beginning of realizing that there are many other ways to integrate with body. And, in fact, I believe our human survival over time is going to depend on getting much more subtly aware of bodies. Ms. Tippett: When Matthew started to do yoga, he realized that though he had no active memory of the accident, his body did. He uses the term “body memory” to describe his experience. This is consonant with an emerging frontier in the biology of stress and trauma — the realization we’re making that experiences lodge in the body and can be addressed there. He says he is on a trajectory we all are on; he simply hit his body’s limits and its arc of decline sooner than most and by force. So you describe how at different times in your life, and through all the operations, and your initial injury and other injuries, you then, at some point, started to realize that healing could look like something different than being able to walk again. You say that you completely disagree when people say, “My body is failing me.” I’ve started to say that now — everyone I know, in our forties, has done it. It’s our eyes or our knees or our backs. Mr. Sanford: And I say that and it’s full of grief for me because I took advantage of my body as a 13-year-old by leaving my body to absorb all the trauma that it did. One of the lessons that I’ve learned is, it was my body that kept me living. Your body, for as long as it possibly can, will be faithful to living. That’s what it does. My body didn’t ask to get hammered and break, and to have its spine shredded, and many bones broken. But it went, “OK, let’s regroup. Let’s go.” Only a little part of my body didn’t heal — an inch or two of my spinal cord was not able to regenerate. It went to work, right, and that’s what it’ll do. It might get confused. It might not know how to grow the right cells. But I’m telling you, it’s moving towards living for as long as it possibly can. Ms. Tippett:Know your body’s grace? Mr. Sanford: Or know that the places you don’t feel in you are graceful. They’re not lost. They’re not absent. They’re part of your strength, of your fiber. In a piece of wood, it’s not just the grains of wood, it’s the empty space and spaces between the grains of wood that make it strong. It’s both. And so the world gets lighter and easier when you include more of yourself here. This is hard. This takes patience. I’d like to tell you there’s one magic insight and suddenly it’s all easy. No, it’s work, like everything else. I think more — not maybe more deeply, but differently — than most people, about how much my body has absorbed and moved towards living still. I look at places — skin on my body, old pressure sores and old stuff that happened — where you can see the skin is struggling to stay and hold. I don’t think, “It’s not holding, dang it.” I feel like, “Man, it’s working as hard as it can.” My body does not heal as well as it used to when I was 13. That’s true. My physical body doesn’t do it. But because of the compassion I can feel for my body, for others, something else is healing. Yoga has infiltrated law schools and strip malls, churches and hospitals. This 5,000-year-old spiritual technology is converging with 21st-century medical science and with many religious and philosophical perspectives. Seane Corn takes us inside the practicalities and power of yoga. She describes how it helps her face the darkness in herself and the world, and how she’s come to see yoga as a form of body prayer.